Good for my damaged hair but not great. First, a little background info on my hair. I have really long, thick hair. I also straighten it at least 5 times a week. So I guess you can say that my hair is really, really damaged. It got to the point where a good portion of my hair felt "crinkly" or, well, burned. 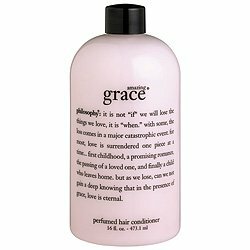 After using this conditioner for roughly 2 weeks, I've started to notice a difference in the texture of my hair. The burned feeling is mostly gone. My hair is softer. The only problem is that I only noticed a difference when I started to *think* about whether or not the conditioner was working. The results aren't incredibly noticeable. My hair isn't shiny. My hair still feels a bit "wispy". The results aren't that incredible that I could say "Wow! 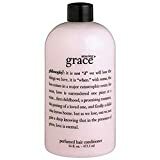 My Amazing Grace conditioner actually works!"